Arctic Perspective Initiative (API) is pleased to announce the publication of their second Cahier: Arctic Geopolitics And Autonomy on December 13, 2010. ARCTIC PERSPECTIVE CAHIER NO. 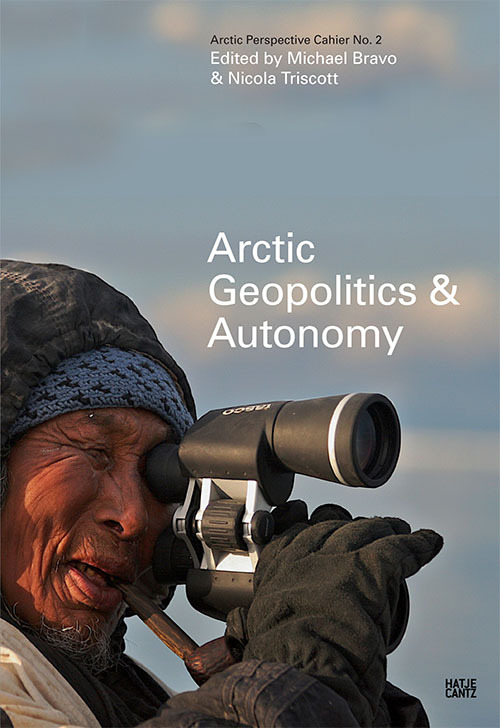 2: ARCTIC GEOPOLITICS AND AUTONOMY NOW AVAILABLE ONLINE HERE. The second API Cahier is edited by Dr. Michael Bravo, Head of Circumpolar History and Public Policy Group at the Scott Polar Research Inst. (University of Cambridge), and Nicola Triscott, director of The Arts Catalyst (London). The cahier is comprised of five essays that address the dynamic relationships between technology, autonomy, creativity, storytelling and geopolitics in the contemporary Arctic. It is published by Hatje Cantz Verlag and electronically under a creative commons license. Nicola Triscott and Lassi Heininen identify a paradox of representation in their essays. Triscott points to the “political character” of technology and its role in the shaping of governance, life, creativity and imagination. Lassi Heininen calls for an environmental awakening in the Arctic as it becomes more ecologically, politically and culturally connected with the rest of the world. Michael Bravo’s essay explores the history of technological interventions that were in his opinion critical in shaping ideas about Inuit autonomy and skill. Katarina Soukup explains that it is interesting to think about the Internet and digital broadcasting as indigenous geopolitical strategies. David Turnbull defines narratives as technologies by which societies have navigated for millennia and points to the critical role of storytelling for orientation in the contemporary technology saturated world. The electronic version is available here, as well as directly from Hatje Cantz Verlag and other online retailers.